Lance Corporal Hermon Eugene Fuller, Jr. was born on March 9, 1947 in Ypsilanti, Michigan to Mr. Hermon E. and Mrs. Eugenia Fuller of Ypsilanti. Hermon is a 1965 graduate of Ypsilanti High School where he ran cross country and played football. He gained a nickname in High School of "Flea" because there was a flea on the Soupy Sales Show named Herman. He also was a member of the Boy Scouts, and he worked on the stage crew for High School plays. Lance Corporal Fuller enlisted in the Marine Corps on July 27, 1965 and received his infantry training at Camp Pendleton, California. 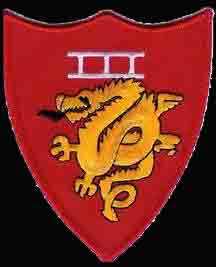 Hermon was stationed in Okinawa before being deployed to Quang Tri Province, South Vietnam serving as a rifleman with G Company, 2nd Battalion, 7th Marines, 1st Marine Division, III Marine Amphibious Forces. He died on September 25, 1966 as a result of multiple fragmentation wounds from a mortar attack. Hermon Eugene Fuller, Jr. is survived by his parents, a brother and three sisters. He lived 19 years, 6 months and 16 days. Hermon's name is listed on the Vietnam Memorial in Ypsilanti Township under Ypsilanti. His name also appears on the Vietnam Memorial in Washington, DC on Panel 11E Line 014. Herman served with H2/5 before being transfered to another outfit. I remember him as always having a positive attitude and a good sense of humor, was a hard working Marine. Rest in peace Herman, SemperFi.